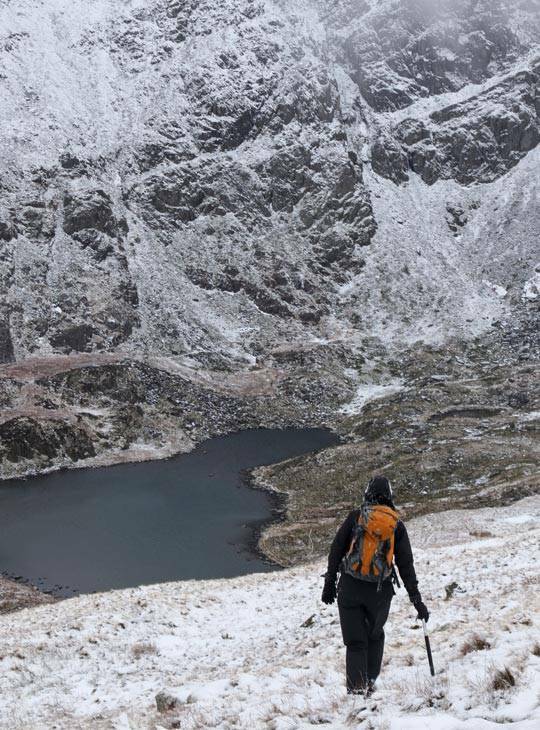 Welcome to Snowdonia, a true winter wonderland. 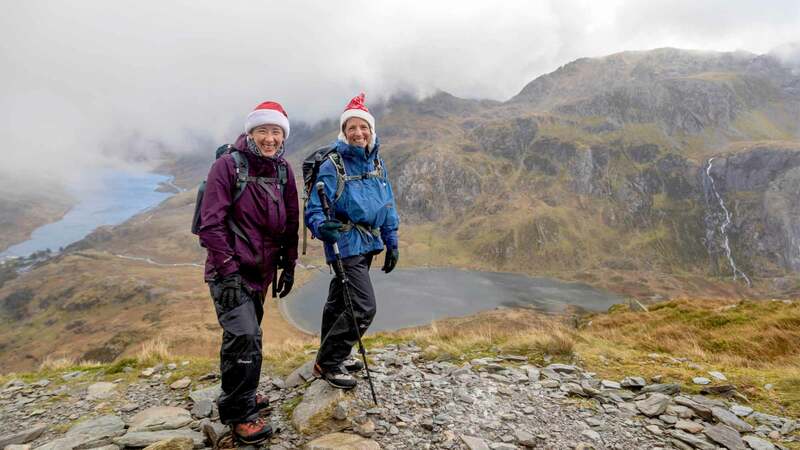 Do something different this Christmas and join us for some great guided walks, where along the way our leaders will explain all you want to know about the area and help you with your hillwalking questions. In the evenings you'll return to mince pies and mulled wine followed by an excellent Christmas dinner all prepared on site, using the freshest of local ingredients. There's always a good friendly atmosphere and many people return year after year. - You'll have a fantastic walking holiday and learn more about Snowdonia's countryside. - You’ll relax in the buzzing atmosphere of Plas y Brenin, feasting after calorie burning days on the hill with fantastic, freshly prepared food aplenty. 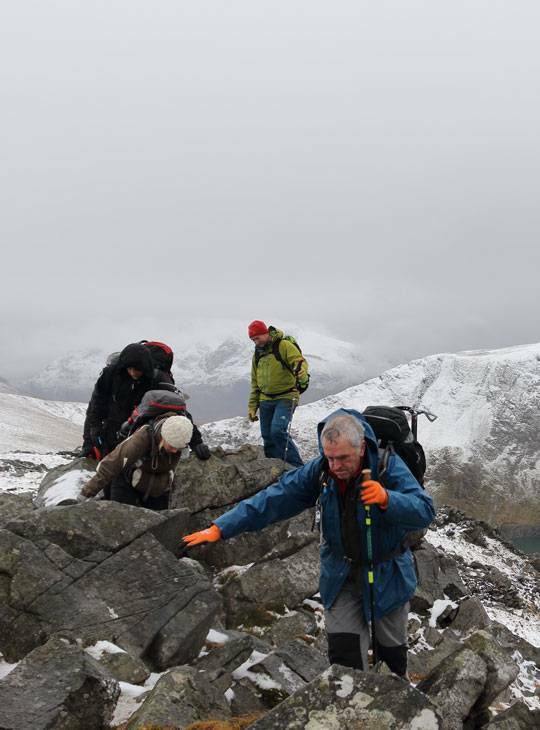 - You’ll get to pick the brains of our expert instructors about all things outdoors, and you’ll meet fellow walking enthusiasts on a Christmas break you won’t forget in a hurry! You'll be able to choose from a range of walks, long and short, coast and mountain. You'll be able to choose from a range of walks, long and short, coast and mountain. We chat with the group before you head out, to make sure that all needs are catered for. We want to help you focus on achieving your goals, so if you're staying with us, comfortable accommodation (with WIFI included) and good food are part of the deal. You should also bring them if you have them but, you can borrow these from our stores. You don't need to do any specific preparation, but a keenness to walk always helps.